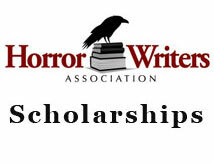 The Horror Writers Association has announced that its Scholarship From Hell recipient is Sumiko Saulson. Additionally, HWA awarded a runner-up mini-scholarship (registration & five workshops) to Hillary Dodge. The Scholarship From Hell (for StokerCon) puts the recipient into an intensive, hands-on workshop environment (called Horror University). There are 18 instructors lined up for the workshop, including Jonathan Maberry, Jo Fletcher, Stephen Jones and Lucy Snyder. This entry was posted in Awards and tagged Horror Writers Association, Scholarship From Hell by Mike Glyer. Bookmark the permalink.